The idea isn’t new. If you don’t believe me, just Google it. 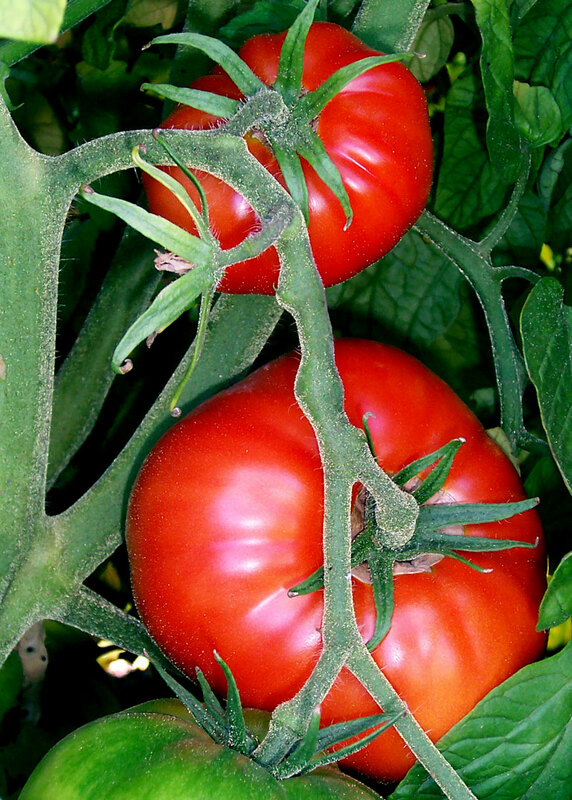 No one may really know who the first person to identify tomatoes as the gateway drug to gardening is or was . . . But they were right. I think for me it started in childhood, in my mother’s garden. She used to ask me to go out and check to see if there were any ripe tomatoes for supper. I doubt she knew what she was doing; I don’t blame her for starting me down the path. Maybe it’s the smell. That somehow sticky fragrance that clings to you long after you’ve left the garden. Or maybe it’s the way the plump curved vegetable-fruit weighs in your hand. I know it has little to do with the taste, as I’m the first to admit I’d rather cook with the thing than eat it raw (although in my dimmest memories of my child self I seem to remember eating them whole, off the bush, like an apple). Perhaps the seduction has to do with the ease with which tomatoes are grown. I’ve killed a lot of houseplants, but even the most neglected tomato plant will bear something. But why do I call it a gateway drug–a little harsh you say? Consider this: I used to buy a couple of plants at the store every spring to plant in my tiny urban garden. And then I started buying them at Ag Fairs and Master Gardener events; I started looking for certain names: Beefsteak and Brandywine, Early Girl and Roma. Eventually I began growing my own from seed. Mind you, I have space for about six tomato plants in my garden. Imagine if I plant two seeds out of every package I own (maybe 8 kinds by now). Suddenly I’m one of those people with too many plants for my garden. Friends don’t exactly run the other way when they see me coming, but you get the idea.The next thing you know you can carry on conversations about hybrids or heirlooms, determinate or indeterminate, organic. You begin to save your own seed. And somewhere in the aforementioned process, you decide that if you can grow this incredible gift to humankind, this orb which can be juiced, dried, frozen, stewed, sauced, eaten in sandwiches, salads, and all alone, you can probably grow just about anything. There is no stopping, you must try it all, moving on to the hard stuff; the seed catalogs begin arriving early January (maybe even December) and there you are, making plans for lettuce and peas and beans. The next year you decide to try broccoli and cauliflower, kale and arugula. The year after that you try peanuts and ginger. It does not end, and you my friend, are hooked.